The community is led by Rabbi Marc Levene and his wife Lisa, as well as Chairman, David Lerner, and a Board of Management. No longer one of the best kept secrets in the United Synagogue, we are surrounded by excellent Jewish primary and secondary schools. You will find more about Belmont on this website but the best way to get to know us it to visit. We promise you a very warm welcome. 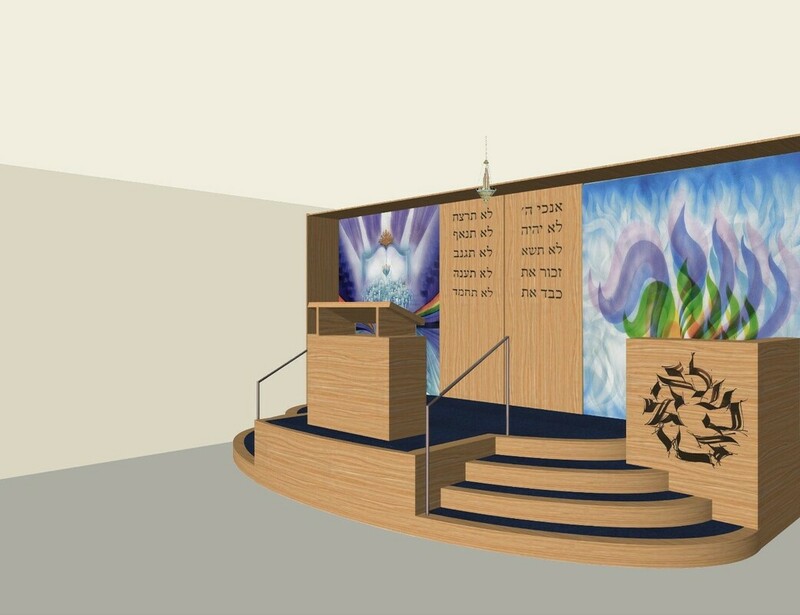 Starting just after Pesach, the building works in the main hall for the refurbishment will be getting underway. The building work to make our main hall more accessible and renew its appearance includes a lower Bimah, bookcases on all of our Mechitzahs, a lower front platform and new Aron Hakodesh. We apologise for the inconvenience that some of this work will cause for members, including that it will not be possible during the course of the week to have any programmes with children in the hall, until the work is completed by the scheduled date of 31 May. It is hoped that there will be some painting and decorative works after Shavuot. It will be possible to hold adult events, including our Yom Hashoah and Yom Ha’atzmaut programmes planned for 1 and 9 May. Shabbat and Sunday morning services will continue as normal in the main hall. WOW offers a women's WhatsApp monthly broadcast - a five minute Jewish thought, direct to your phone. To register please email Lisa Levene directly with your number or call Sharon in the office on 020 8426 0104. Rabbi Levene warmly invites all members of the community with any level of Jewish knowledge to attend. The community will be commemorating this day with Survivor, Renee Salt. A trip to Osterley Park and House. Please book your space with Norman Rubin by 29 April. £28 per person, coach leaves from Shul at 10.15am.